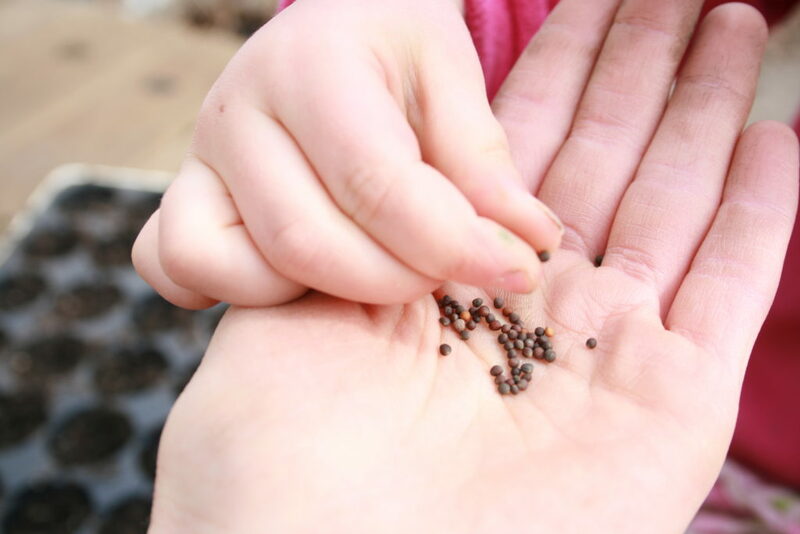 There is still time to plant seeds! This time of year doesn’t have to be the end of your garden. 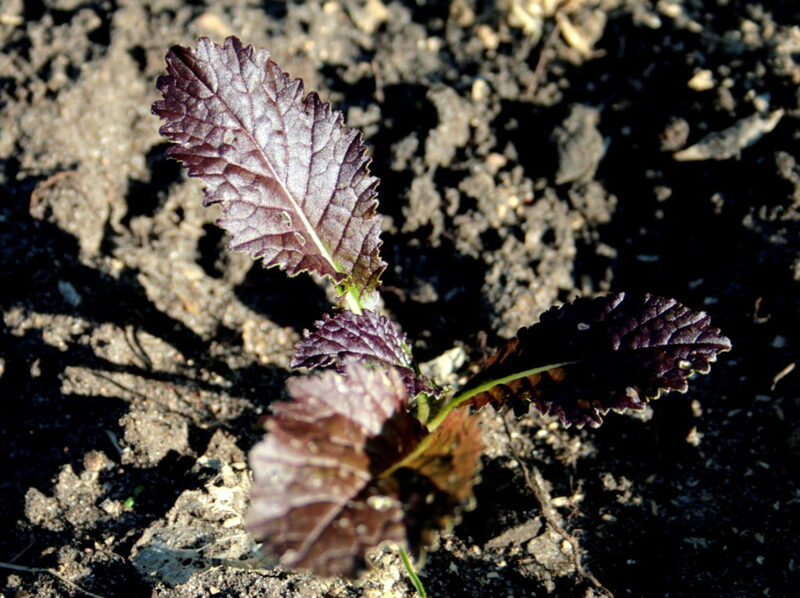 Step outside, dig in and smell the soil while you still can! There is a whole host of crops that actually perform better in this cooler weather and into the coming fall days. Things like broccoli, cabbage and other delicious cool-weather gems should have already been started by now, but alas, July slipped out from under me and I’m already staring at the end of August! With 40 days until our fall frost date here in zone 4a, I am limited as to what I can plant, but I can still plant some seeds. I’m going to share how to determine your frost date, calculate what you can still grow in your region, plus name some of the faster growing cool-weather crops so you can experiment along with me! A comment or question I frequently hear is something like, “I don’t know why, but my spinach (or radishes, or lettuce, etc.) didn’t grow very big, then they started flowering.” That is bolting or setting seed, and that is your plants’ way of reproducing in hopes of growing another year. You see, those crops are over with the arrival of hot weather, but while you can’t easily grow spinach in July, now is a perfect time to grow spinach and other crops like these delicious spicy mustard greens! Many crops prefer to grow in cooler weather. The way to read this chart: Look down at “Fall 32” and we see that on October 8th, there is a 90% chance that it will be 32 degrees, so I am going to use this date as my fall frost date to determine when I need to start my fall crops. In the Spring, I use a more conservative date, such as a 50% chance that it will be 32 degrees. This is because fall crops will weather a little frost well, and often times are a little sweeter from a frost. The same cannot be said for my tomato plants! 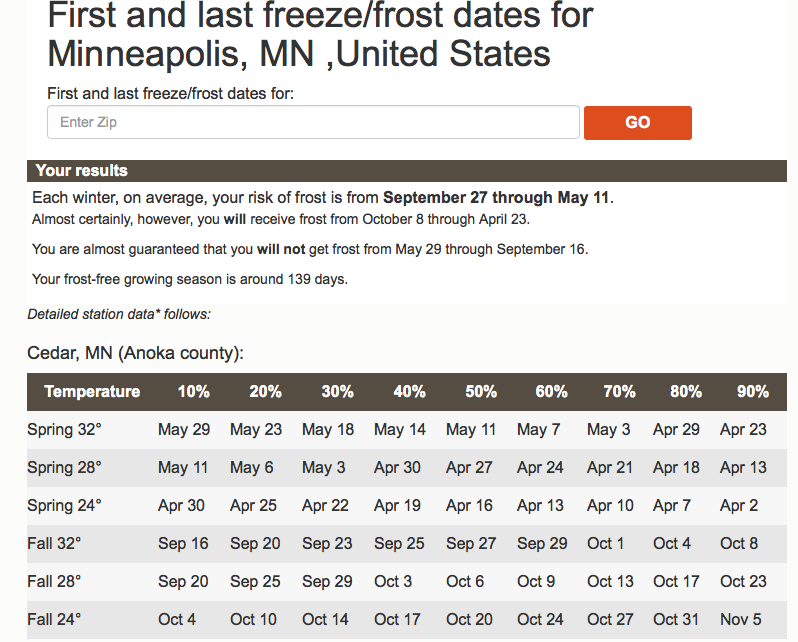 Once you have your fall frost date, you can count backwards from there to determine when to start your fall crops. So if broccoli is 60 days to maturity, start it 60 days before your fall frost date. Or fall peas, brussels sprouts, beets, carrots, and on and on… mmmm fall crops are so rewarding. Every year I struggle to get there, though. Summers here are like a sprint to cram in as many summer adventures as you can before fall comes closing in. Our summers fly by! There are still a few things that we can plant out there and reap a sweet reward during those cool fall days, though, and I’ve listed them below. I began this post including the number of days to crop maturity for your reference, but those numbers can really vary between varieties! I have decided it would be best for you to check on the back of your specific seed packet to see how many days if you are afraid it is too late to plant. 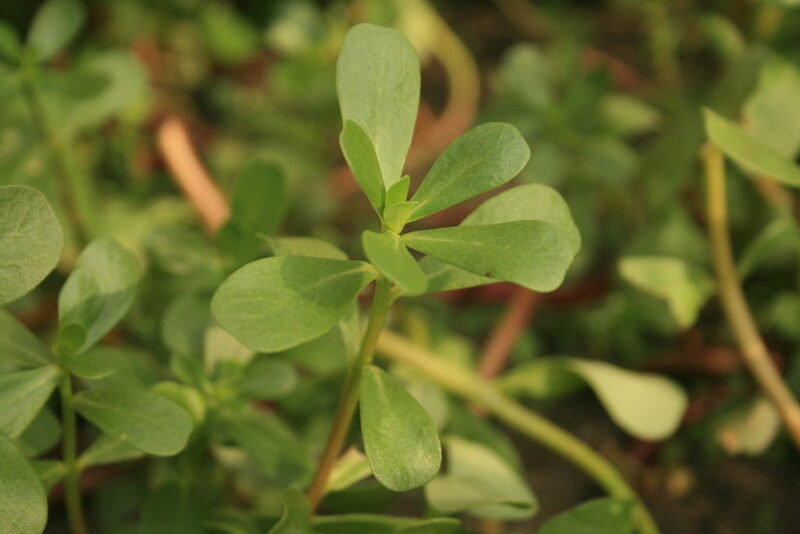 However, many of these things here can be planted and do not need to reach their full maturity to begin harvest. 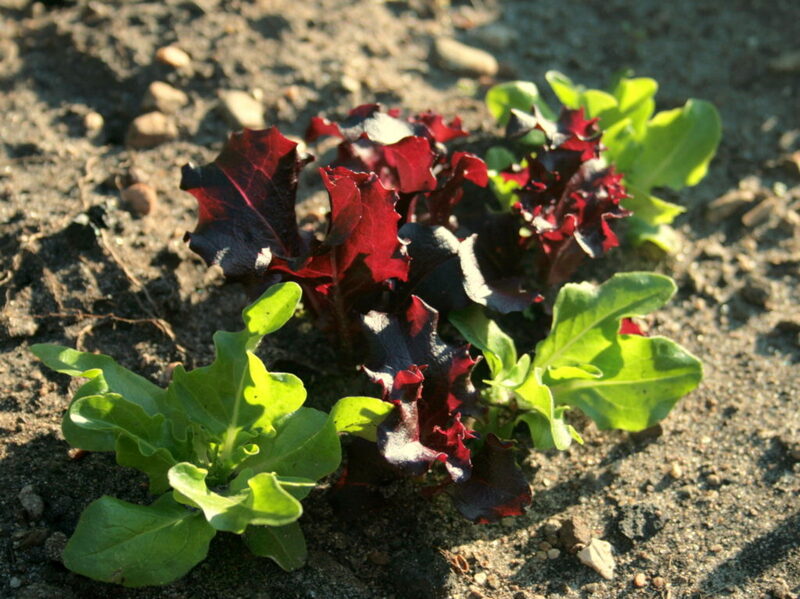 You simply begin taking outer leaves as it continues to grow, or you harvest baby beets. Yum! What is your favorite crop to grow (or eat!) in the fall?